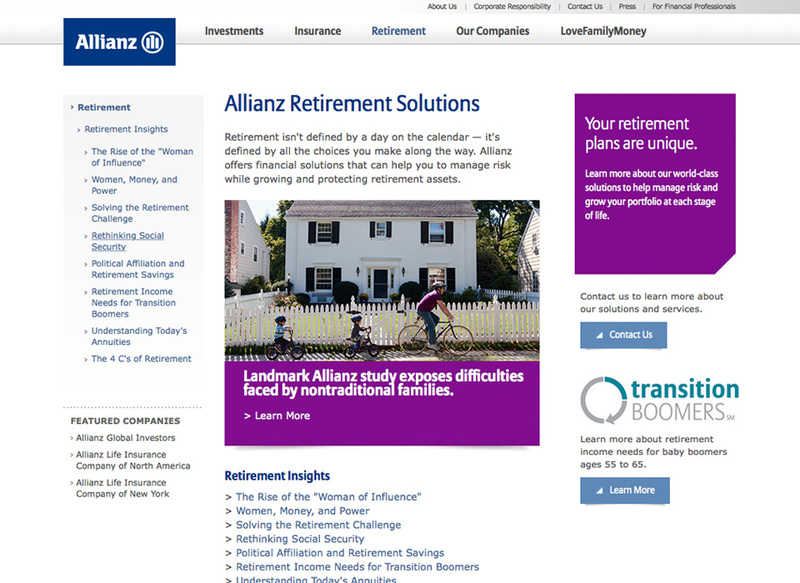 Allianz invited us to create a responsive website for their US division. 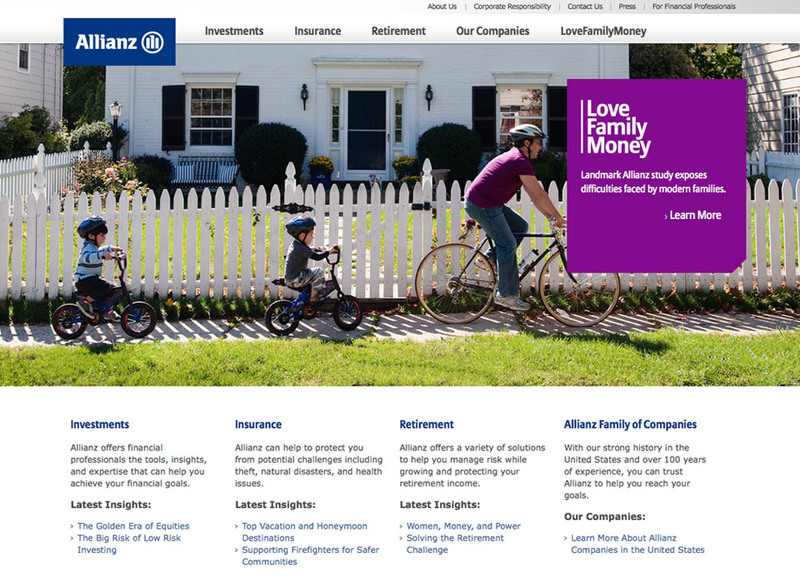 Since many Americans are not as familiar with Allianz, we partnered with Allianz to create homepage feature stories about how Allianz has played a significant part in U.S. history. 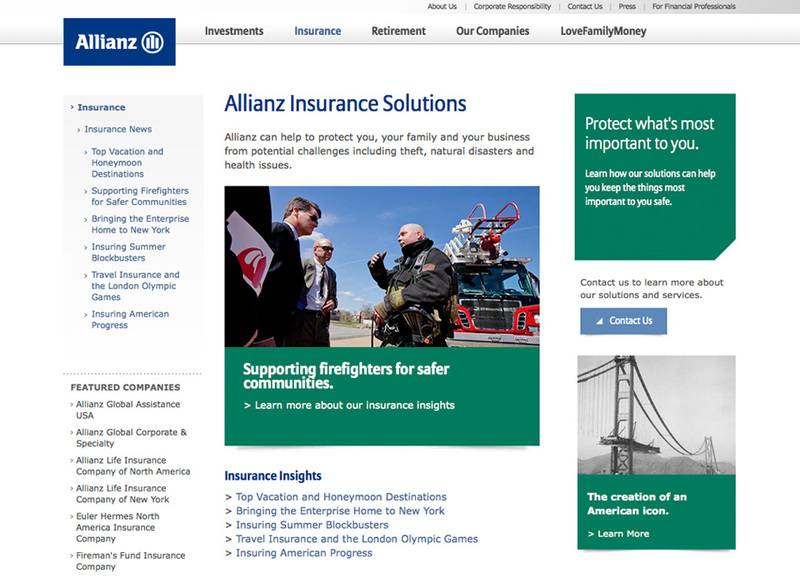 For instance, Fireman’s Fund Insurance Company, a division of Allianz, underwrote the construction surety bond for the construction of the Golden Gate Bridge. 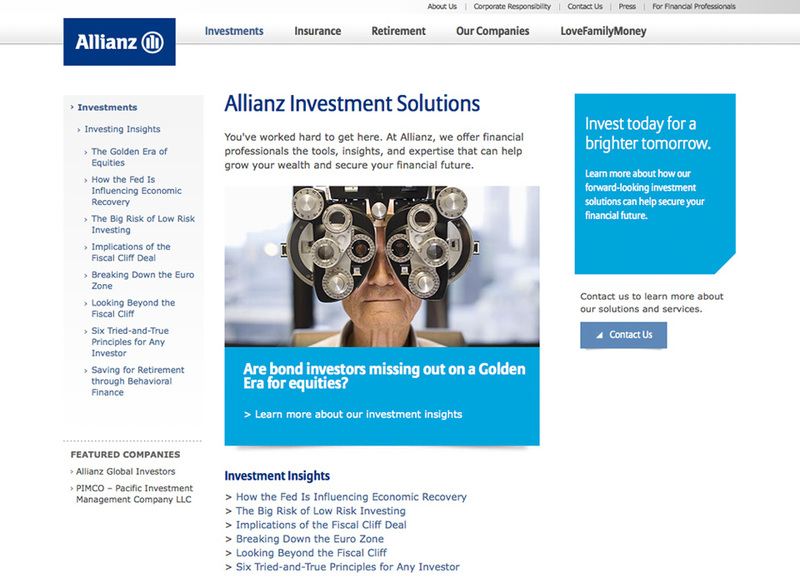 Consumers that visit the website will find a wealth of content pertaining to the financial products Allianz provides. 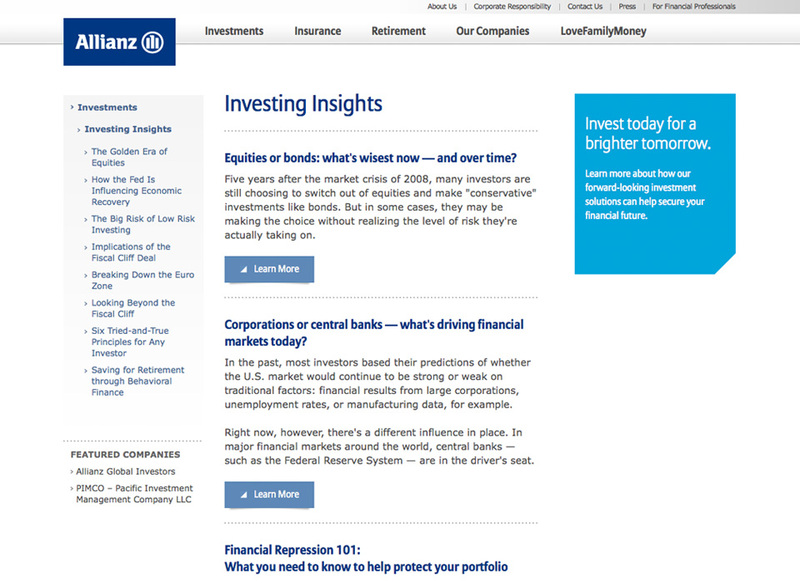 Each product section (e.g. 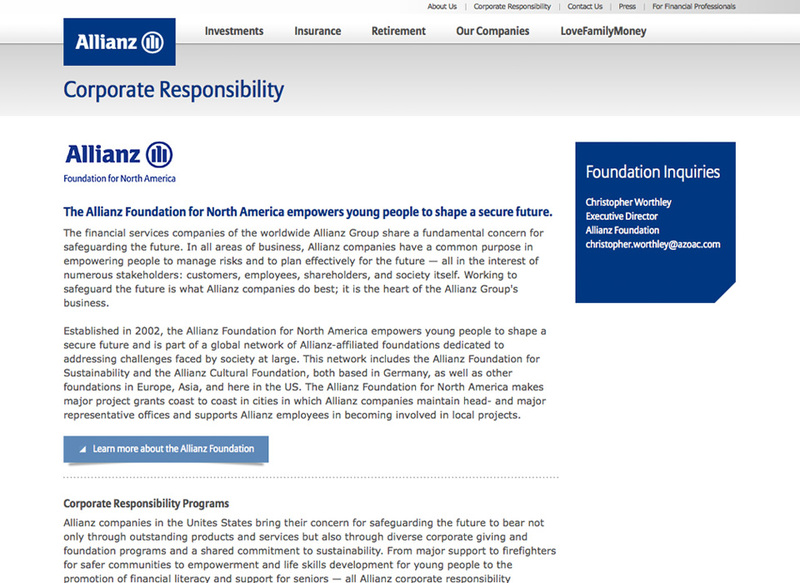 Investments, Insurance, Retirement) contains information and insights as well as links to the Allianz companies that provide those products. 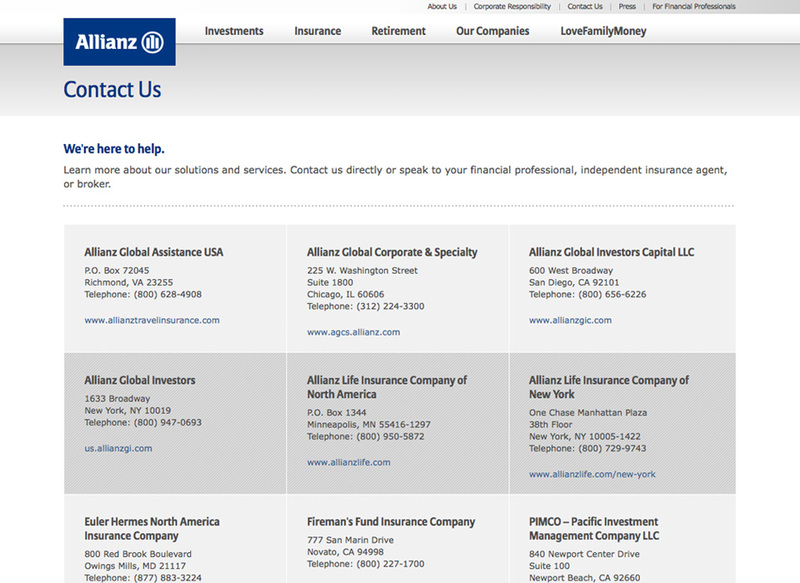 An area of the website is also dedicated to information about Allianz as well as financial professionals and the press. 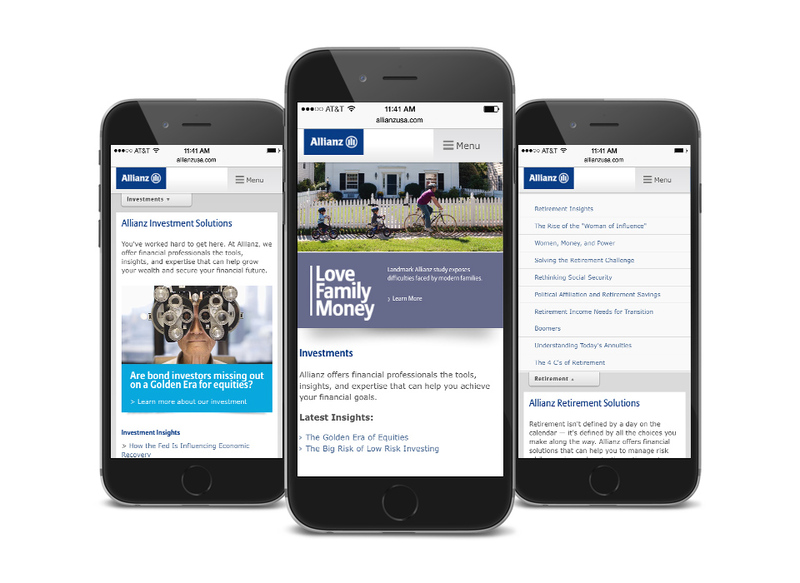 Being fully responsive, the site runs smoothly and beautifully on all devices.